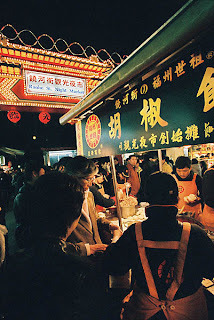 One of the major items to feature in any itinerary of a Taiwan trip is a visit to the night markets. There are quite a number in Taipei itself, and far from being a tourist "attraction", you'll realise that it is as much a local lifestyle thing of the Taiwanese than anything. 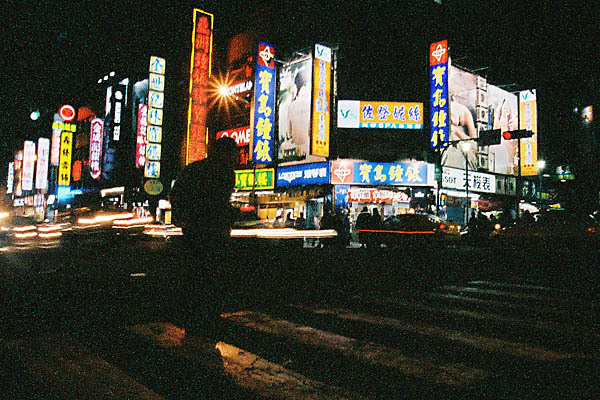 The most well-known would probably be Shilin Night Market. Situated right next to a metro station, its accessibility is certainly one of the reasons for its popularity. It is a covered night market, and you could well enjoy your food without getting wet if the rain comes. While crowded, I feel it lacked a certain "authencity" to it. I have always envisioned a night market to be those along narrow roads with stalls lining the sides. Well, this is exactly what you get when visit the RaoHe Street Night Market! The crowds are equally huge, the ambience great, and I do have a feeling the food's better here too! And judging from the queues in certain stalls, it seems there are a number of famous stalls here too! There is also a "tourist" night market too! The HuaXi Street Tourist market is a covered market, and there is a certain lane that sells all manner of snake dishes. Hence it is also known as Snake Alley! Well, I certainly saw many more foreign tourists here than the other night markets! No wonder though, since I'm sure the thought of eating snake stuff would feel exotic to the foreigners. 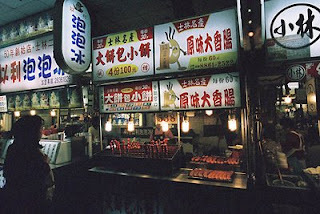 One thing you'll notice though, the night food stalls are not just confined to those night markets. 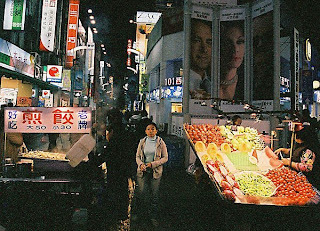 Even in trendy places like XiMenTing, where the young shop and hang around, those cart food stalls would spring up at night! 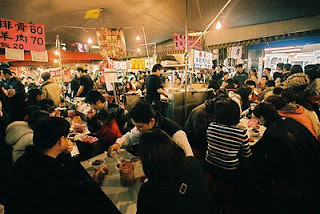 Having supper and night snacks is a common lifestyle of the Taiwanese. And the night markets is certainly a reflection of that!